Back in April I noted here the difficulty of getting to the biblical site of Samaria in Sebastia. The hill Samaria was bought by Omri, king of Israel, to serve as the capital of the Northern Kingdom of Israel (1 Kings 16:23-24). After a visit to Samaria in December, 2009, I posted a photo of the hill of Samaria suitable for use in teaching. I thought I would share this with you today. 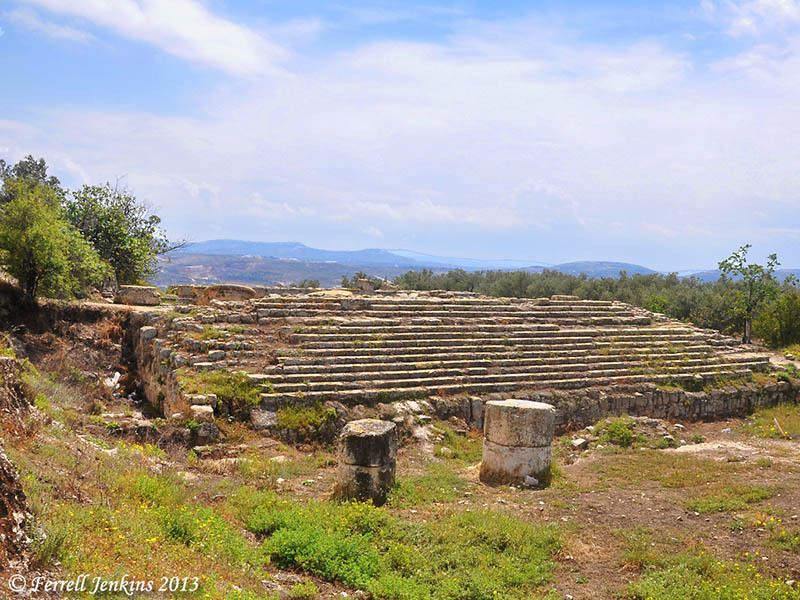 Samaria was built on a hill surrounded by a deep valley and then mountains. The Hill of Samaria. Photo by Ferrell Jenkins. Samaria was destroyed by the Assyrians in 721 B.C. By New Testament times Samaria had been rebuilt by Herod the Great, and was visited by Peter and John (Acts 8). 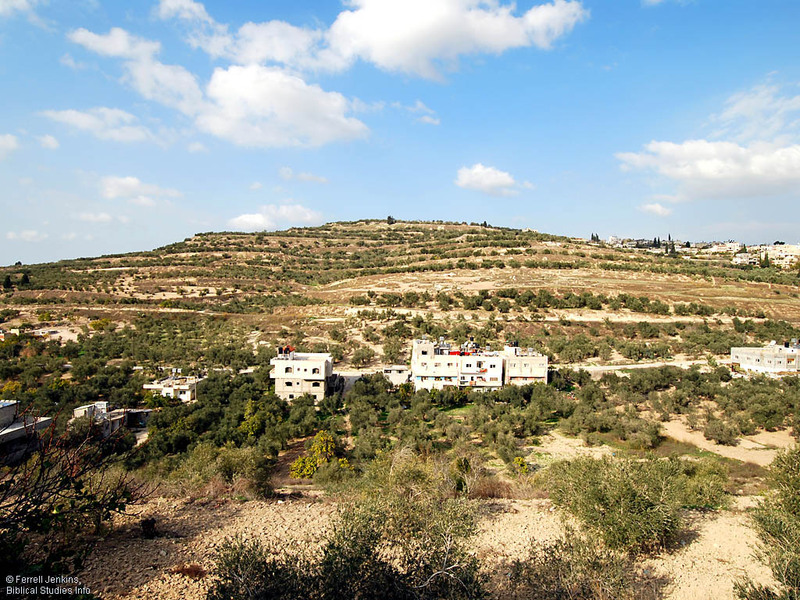 A few days ago Todd Bolen (Bible Places Blog) called attention to an Associated Press article reporting that the archaeological site of Samaria is neglected, and is being vandalized. You can go directly to the AP report here or here. Back to the most recent visit. I did get a fairly good photo of the steps leading up to the Temple of Augustus built by Herod the Great. Of course, the temple has been gone for centuries. Herod built this temple over the the palace area of the ancient northern kingdom of Israel. Doesn’t anyone respect the past? Steps of the Temple of Augustus at the site of N.T. Samaria. Photo by Ferrell Jenkins. The view of the mountains that surround Samaria is impressive (cf. Amos 3:9). This entry was posted in Bible Study. Bookmark the permalink. the Disabled Travelers blog as a way of giving back and saying thanks to all the people who’ve helped me go further than I thought possible. At the same time, I get to help all of you out there on the internet create the kind of unforgettable memories and life-changing experiences I’ve enjoyed. Shmuel, thanks for the clarification. You are correct. I should have said that this was the location of the temple built by Herod. Thanks for your link to some great photos you posted. To clarify, the monumental steps leading to the temple are not Herodian, but were redone with the rebuilding of the temple during the reign of Septimus Severus (193-211CE).